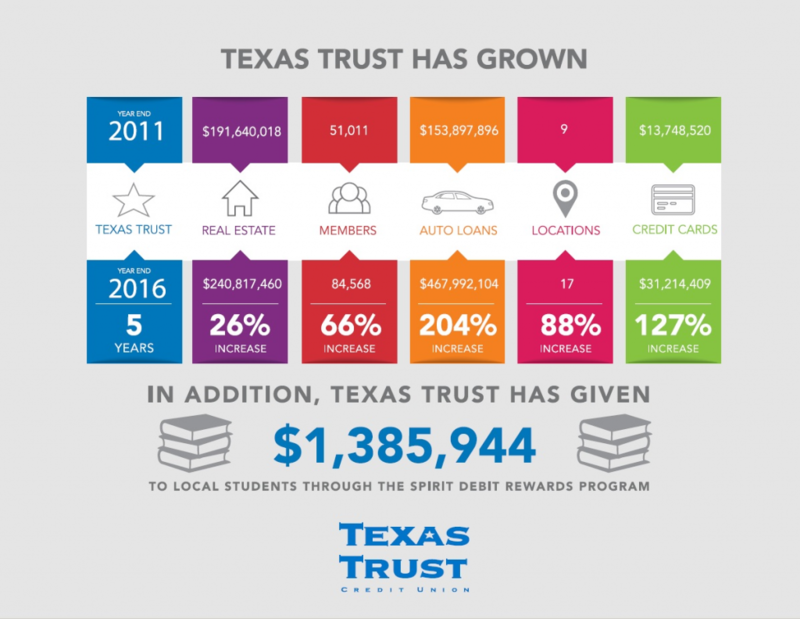 ARLINGTON, Texas – February 2, 2017 – Texas Trust Credit Union has surpassed $1 billion in assets, reaching $1,021,430,369 to be exact, achieving an ambitious, multi-year goal. Two key mergers were also instrumental in reaching the billion dollar milestone. 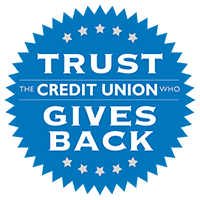 Texas Trust joined forces with Arlington-based Security One Federal Credit Union in 2013 and Midlothian-based TrustUS Federal Credit Union in 2016. Texas Trust gained talented employees, members and branches through these mergers along with increased assets.